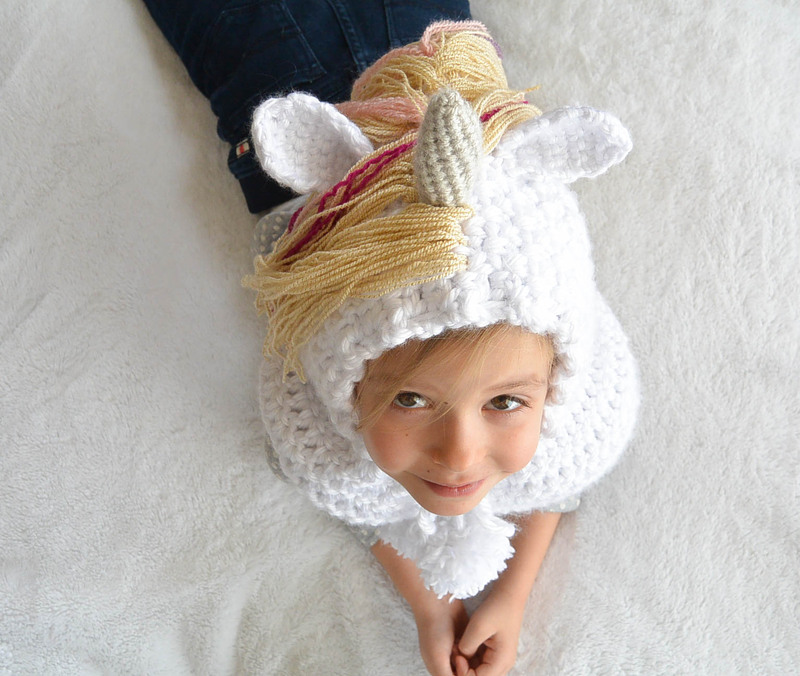 I was so excited to find this sparkly golden yarn for the mane! It was awesome to find this sparkly gold yarn for the mane, and could use some scrap yarn for the accent colors. I wanted to use a thinner yarn, smaller than the typical worsted weight yarn in order to give it a bit more “realistic” look to the hair. 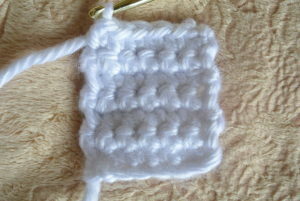 *Gauge 2 single crochet and 1 chain, 3 rows per 1″. 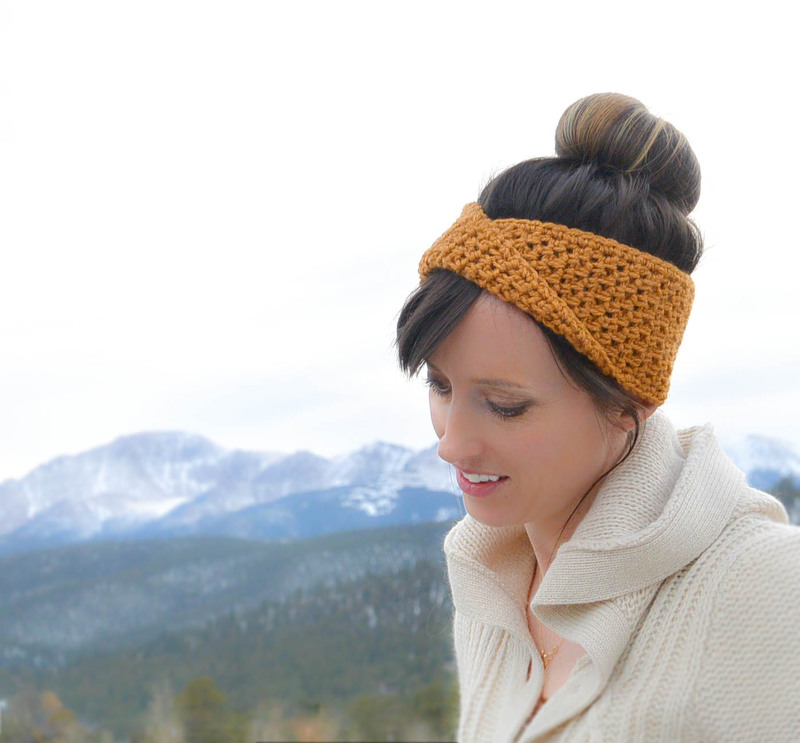 *To make this hat you will need to know how to single crochet, chain, double crochet. There is also minimal decreasing for the horn and ears. 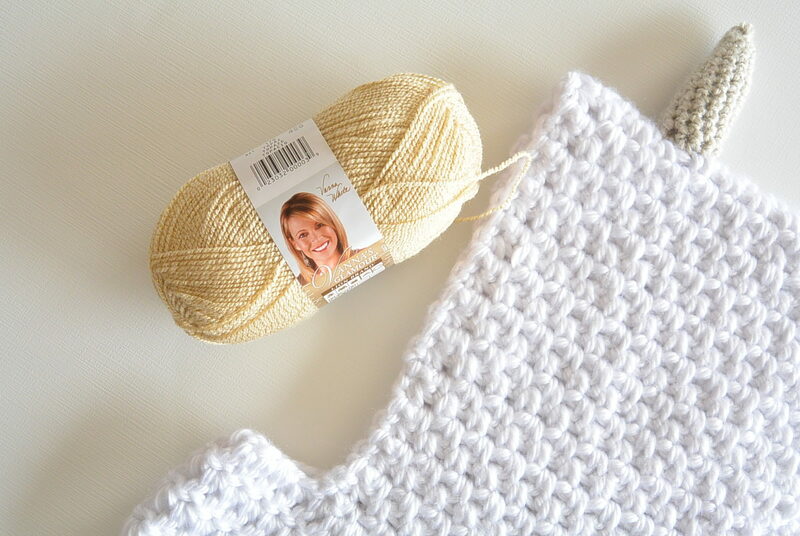 In order to blend the end of double crochet rounds, you also will work a half double crochet one time. 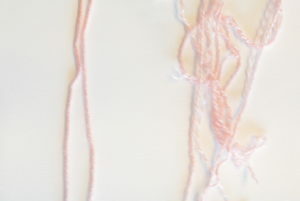 Row 2 Sc into second stitch from hook, *chain 1, skip stitch below, sc into chain stitch below. 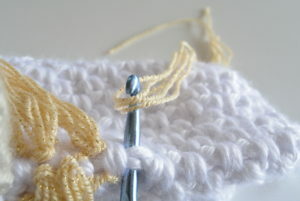 * Repeat from * to * across, single crochet in final stitch. Chain 1, turn. 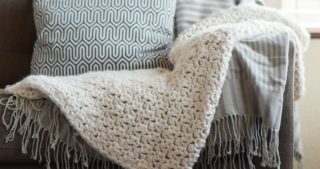 Row 3 and until piece measures approximately 18.5″ inches in length, repeat row 2. 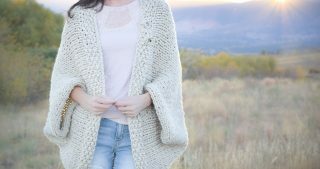 Fold crocheted rectangular piece in half as if to make a hood. 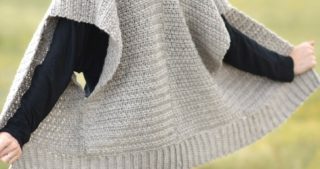 Seam up the back with a slip stitch on the outside of the hood. Tie off, weave in ends. Chain 3. (Counts as one double crochet). Crochet into 5th stitch from hook, Double Crochet around (I made 54 Dc stitches around). 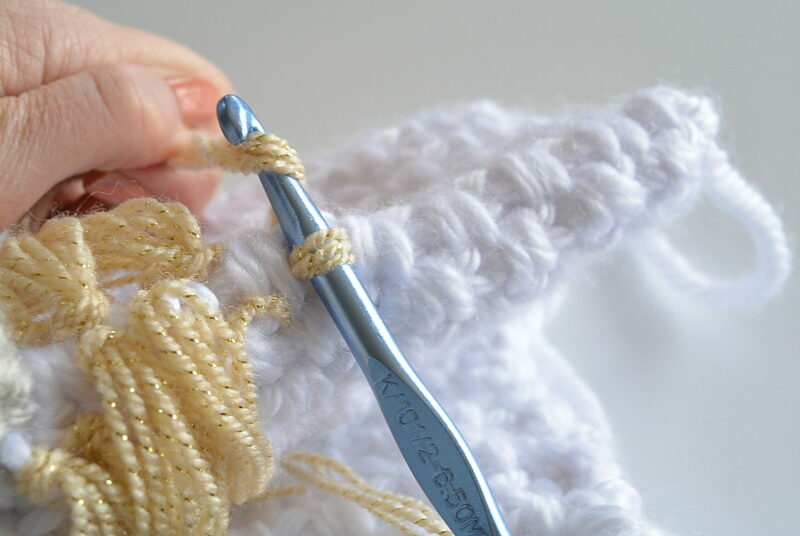 Continue to Double crochet around hood (continuous rounds), creating the cowl, until the cowl measures approximately 4.5″ inches from bottom of hood to bottom of cowl. This should be 4 rounds of Double Crochet stitches. 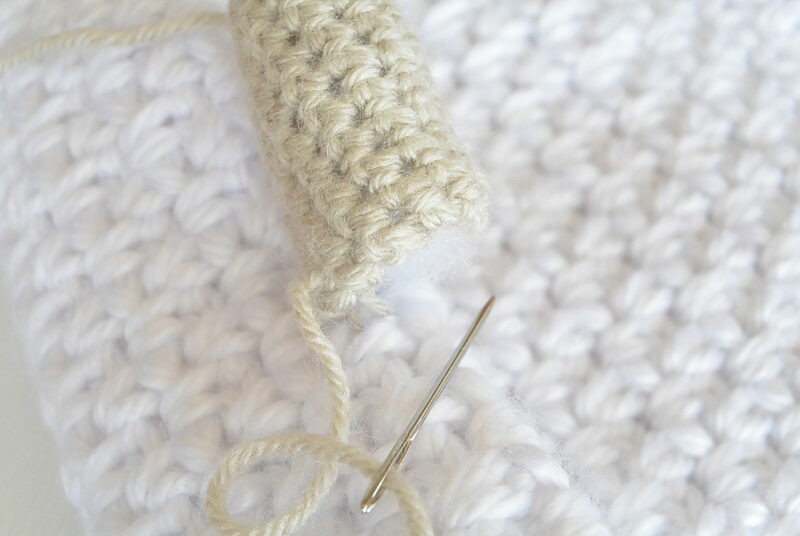 When you are finishing your final round, make a half double crochet, then a single crochet, then a slip stitch (This is so you don’t have a big “step” where the double crochet ended). Tie off, weave in ends. See how the upper part of the hood is just a rectangle folded in half? Then the cowl is worked around the bottom in double crochet stitches. Pinch the bottom portion of the ear, and place it 3″ inches back from front of hood, and 2″ down from center. 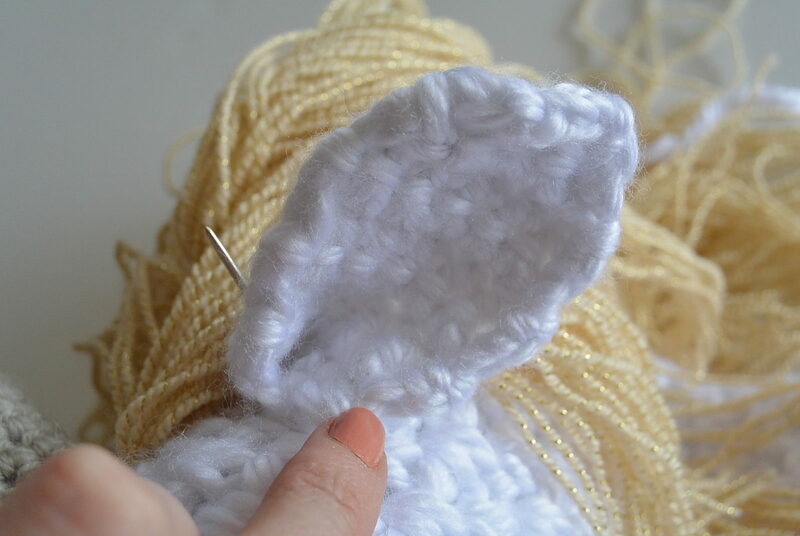 With your tapestry needle and length of yarn, whip stitch ear to the hood. Tie off, weave in ends. Repeat this on the opposite side of hood for the second ear. 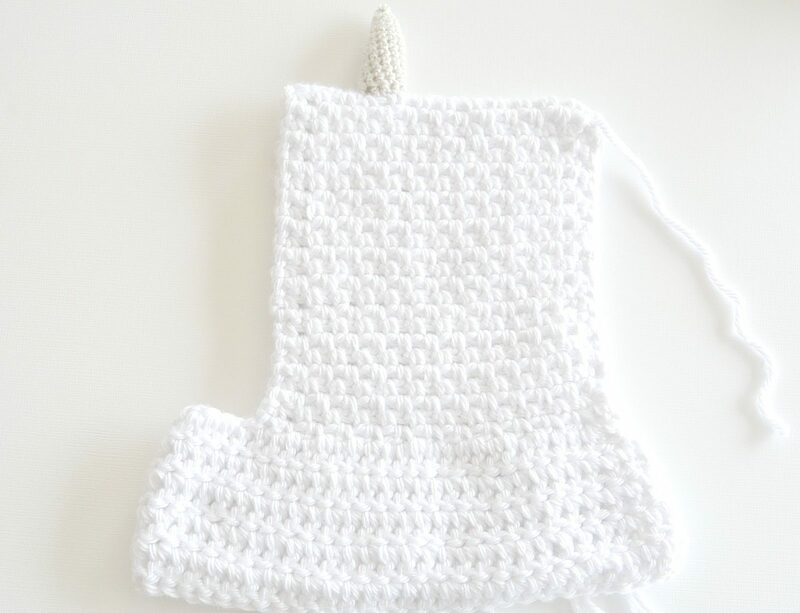 With your Size G Crochet Hook and Worsted Weight yarn, Chain 12, slip stitch to join. Sc in the round until you have a tube or piece that measures 2 inches tall. Next you will make a decrease round. Decrease Round 1 – Sc 2 together, sc around. Sc approximately 2 more rounds. Sc 2 together all the way around. Continue to Sc 2 together until top is closed.Tie off. Stuff with polyfil. Pull ends through the horn to weave them in. Attach horn with a whip stitch, using your tapestry needle, in center of hood, 2.5″ back from front of hood. 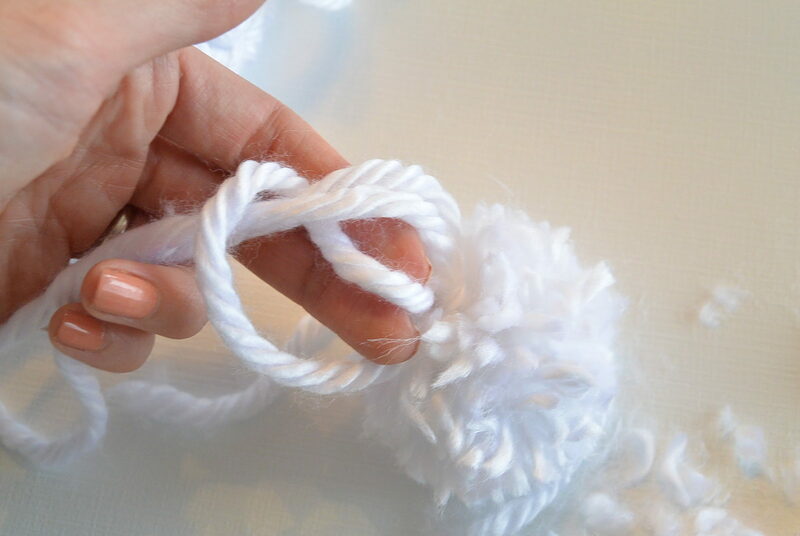 Cut a length of super bulky yarn approximately 3 feet or 36″ long. Attach with tapestry needle, and pull through front center of cowl. Weave in and out of every other stitch around the front of the hood (where the face will be), working your way around hood and cowl. THIS STRING DOESN’T GO AROUND THE NECK. It is to go around the face of the hood. Bring the end through the front of cowl. Attach pom poms. (Use a pom maker or see my “how to make a pom” HERE on my blog). 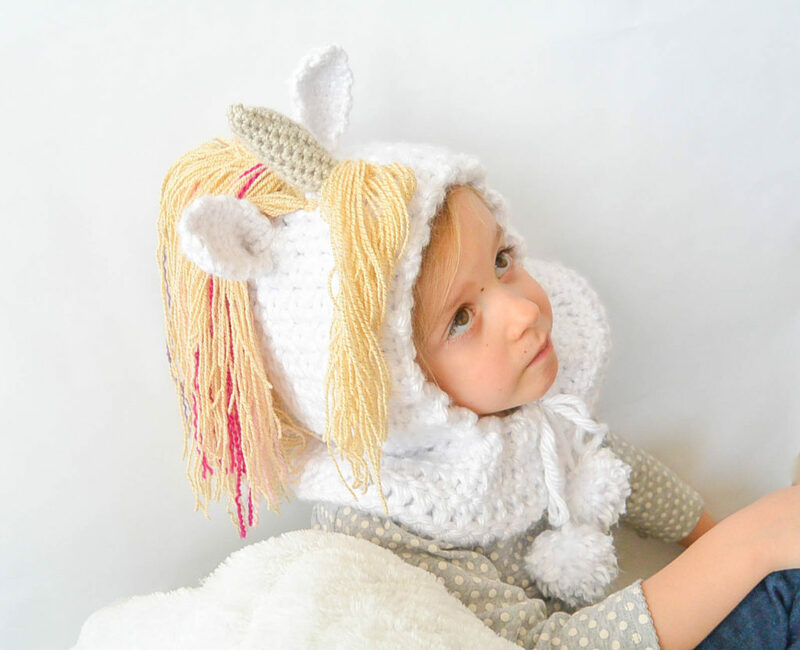 This step is important because it really helps hold the hood on and you can adjust it to show more or less of the face. About to make some of the mane. I’m about to pull it through, then will pull tightly to secure. That’s it! I also took my scrap worsted weight yarn in my daughter’s favorite colors and pull it apart, or split it. This makes it thinner and less “yarn like” and more “hair like”. On the left, worsted weight yarn. 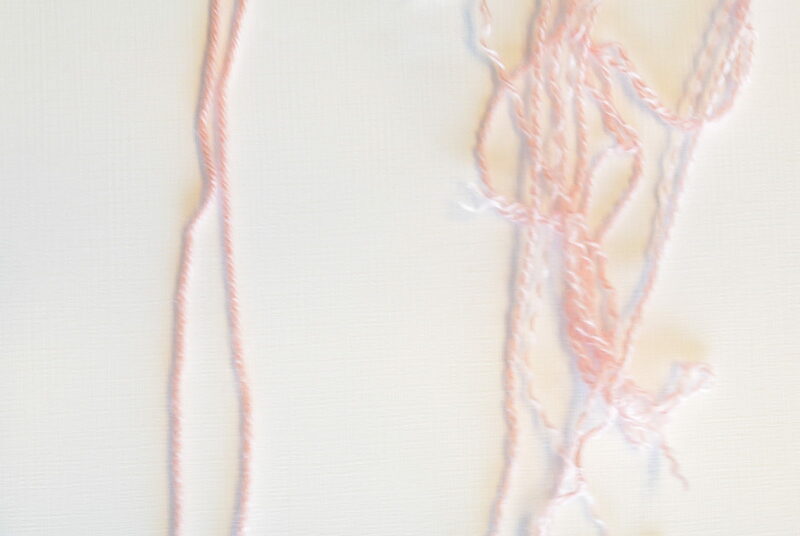 On the right, the yarn pulled apart / split. I then added these to the mane for accent colors. Add as much as you like all along the top of the hood, and even down the center back. I found that the more I added, the more I liked it. 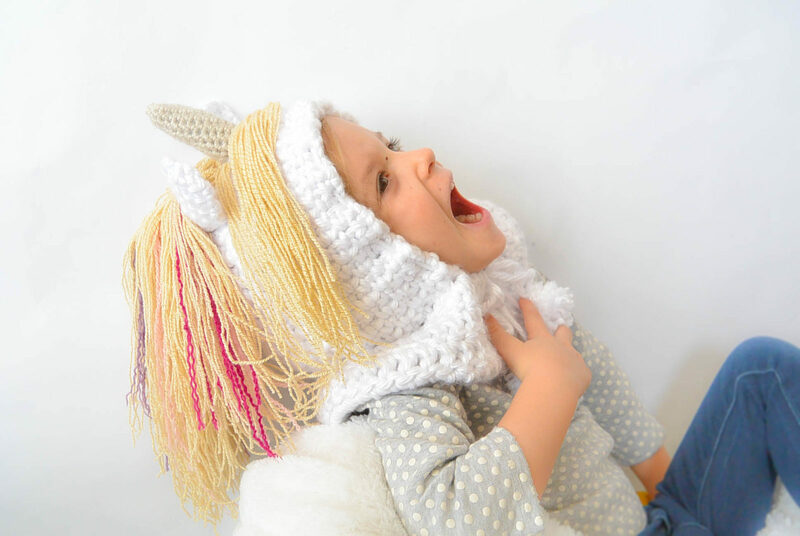 There you have your magical little crocheted unicorn hood! Very cute!!! Poor Ruby!!! Life as a dog is so stressful! Another great pattern! Ha ha! I know, poor Ruby. I was so hoping for an amazing picture with her in it. NOPE! Sorry Rose! 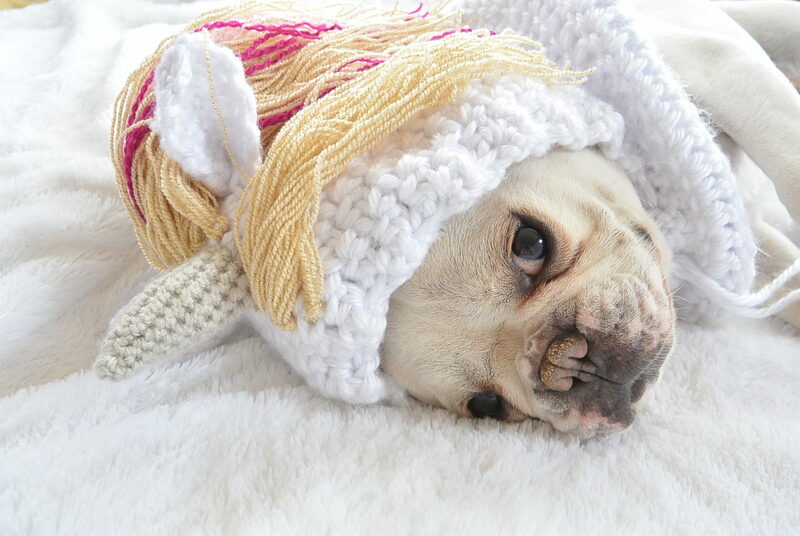 I just put the toddler hat on the dog for fun. I didn’t do a pattern for the dog. Maybe next time! 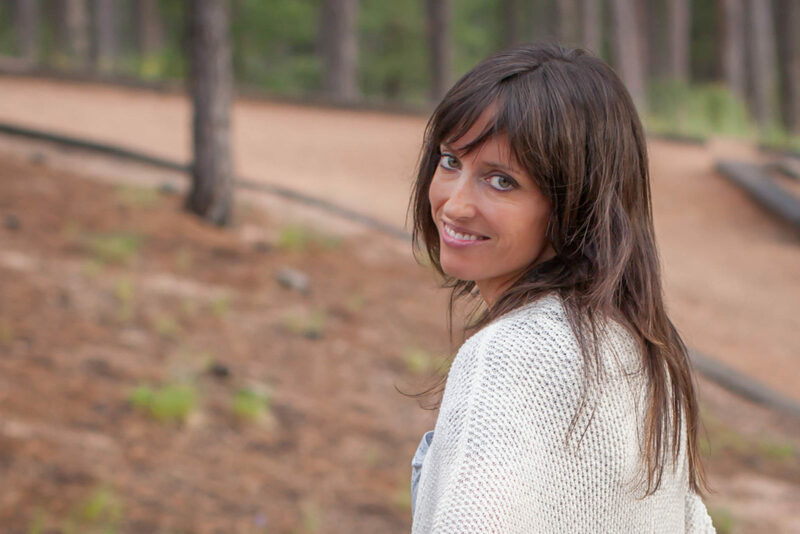 This is such a delightful project!!! 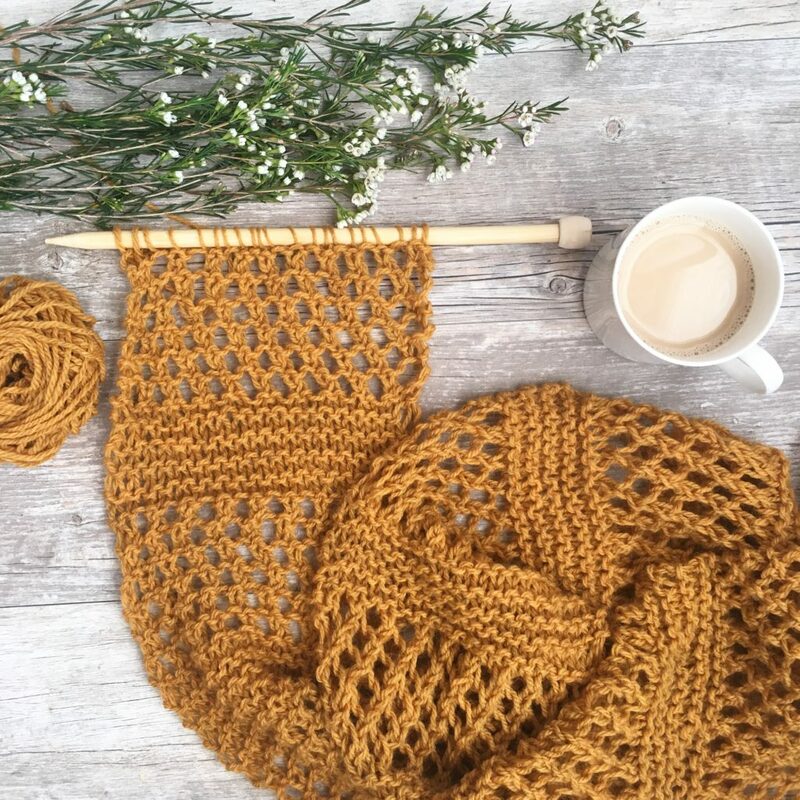 Thank you so much for the pattern!!! Thanks for the sweet words Dorene! You’re welcome of course. So happy you like it! This is SO rad! Just adorable, I love it! I’m so glad that you think so! Thanks Regina. I’m working on this and having trouble when I get to row 2 of the upper hood. Is the * in the right place? It’s not looking right. I watched the video and they do it differently so I wanted to do it like you did and like you describe. I just need clarification. 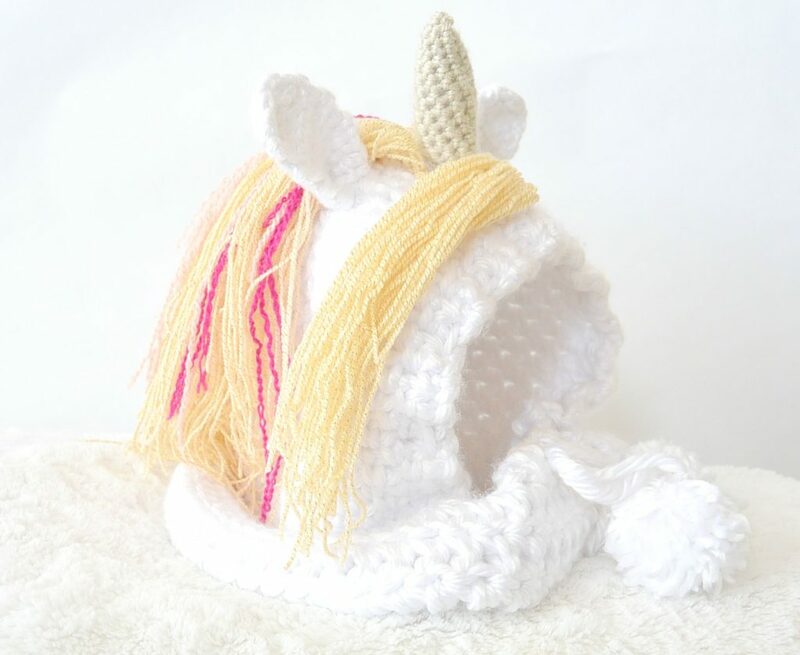 I’m making this into Rainbow Dash for my grand daughter who loves My Little Pony. As weird as this may sound, I would like to make on in an adult size. How would I manage that? 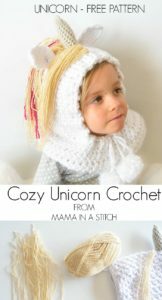 I have a daughter age (almost) 7 who would love it. Unfortunately I do not know how to make it bigger. Do you have an idea how to do this? Love the hood. My granddaughter is older, do you have an idea on making it larger? 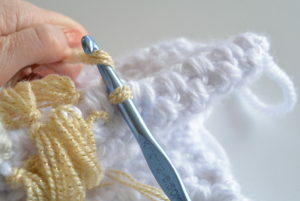 If you start with a longer initial chain you will have a larger hood – just keep it an odd number of stitches for the pattern. 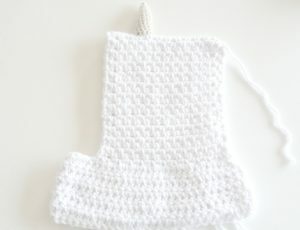 You can also crochet more rows. The best would be to have your daughter there to “try it on” as you go! Yay! Found this just in time for Halloween! 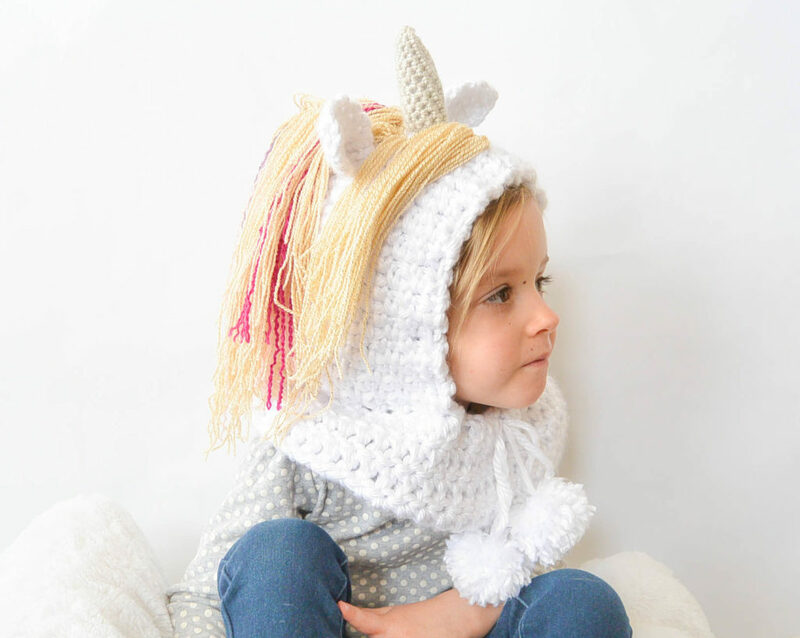 My 7 year old granddaughter has decided to be a unicorn for halloween this year and this hat will not only put the final touch on her costume but keepher toasty warm as well. Thanks in advance and I will send you a pic and my little unicorn on Halloween night!